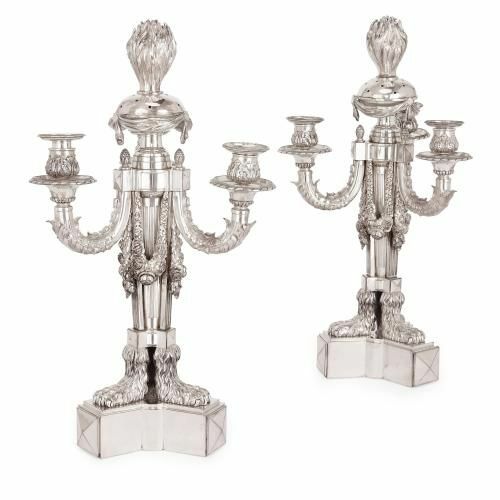 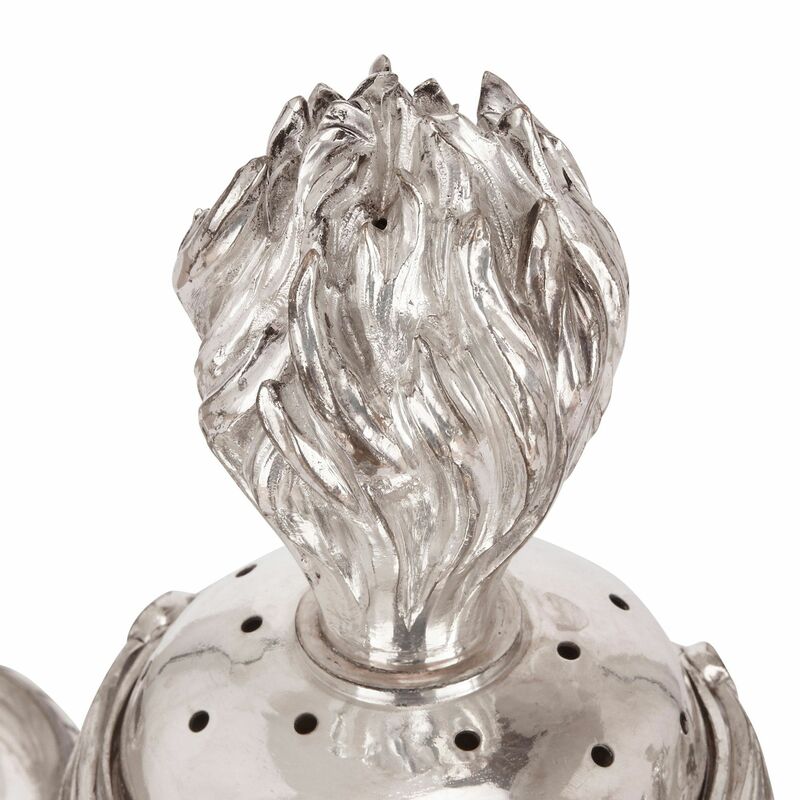 This elegant pair of Régence style antique candelabra are of finely worked silver plate, featuring delicate floral motifs and intriguing clawed paw feet. 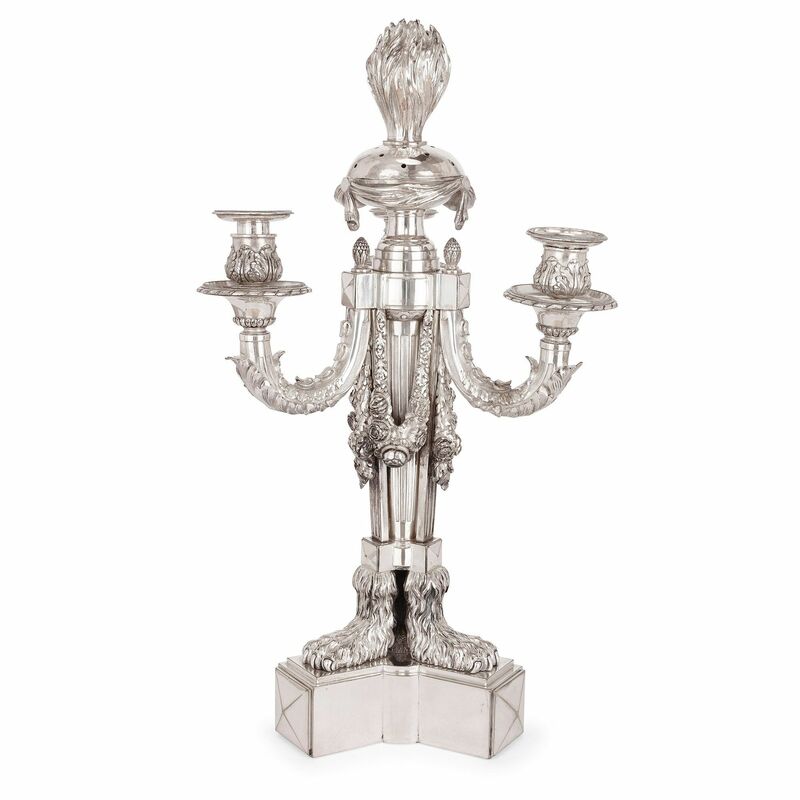 This pair of antique candelabra has three upward curling branches to hold three lights. 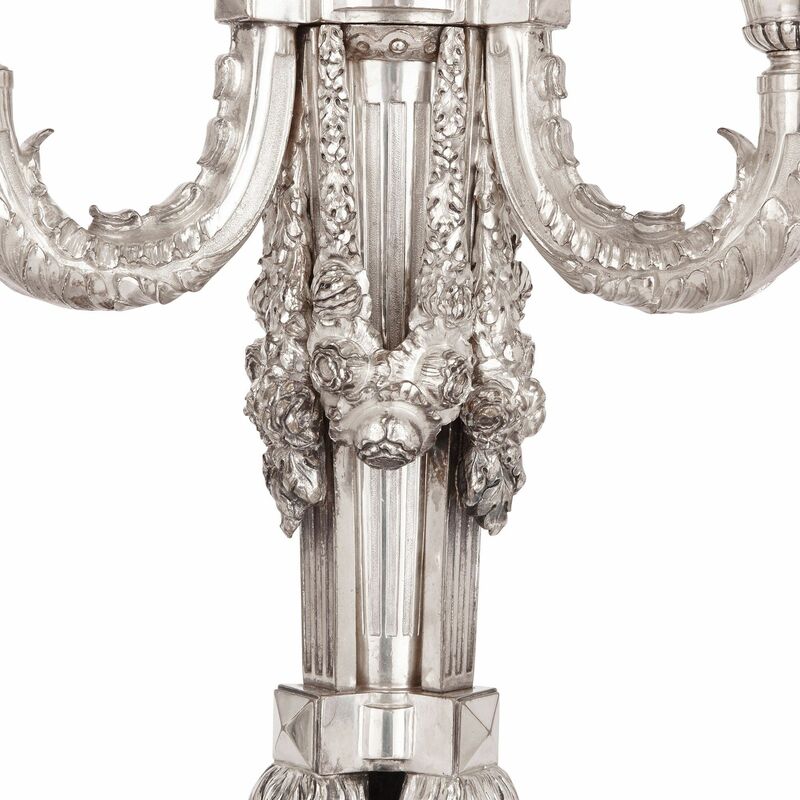 The branches are intricately decorated with leaf motifs, and extend from a fluted central column. 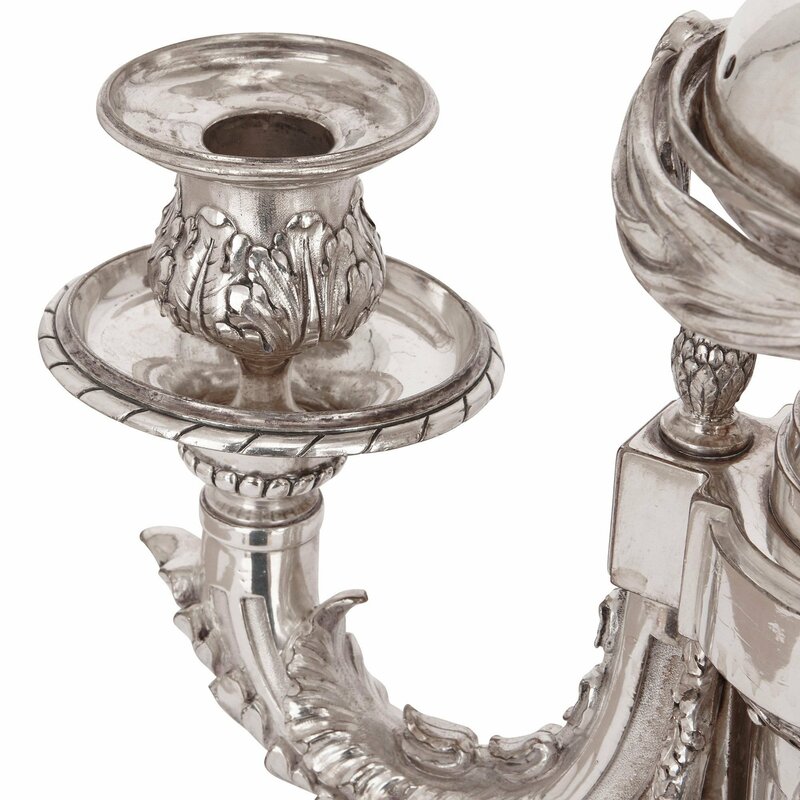 The column is topped with an incense burner, upon which sits a flamed finial. 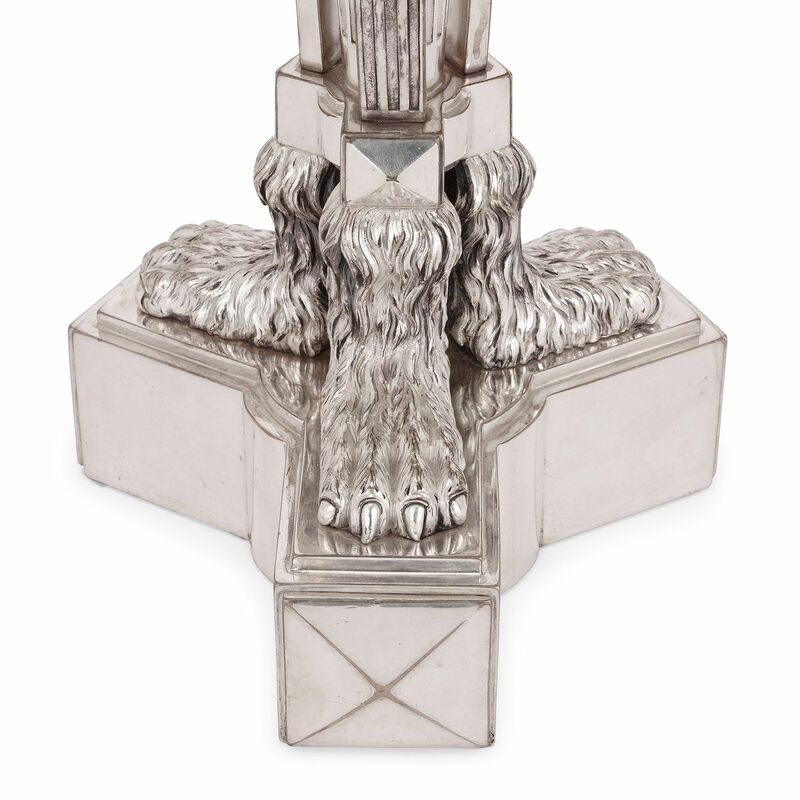 The column is hung with garlands of flowers and leads the eye down its length to clawed paw feet, which are set upon a tri-form pointed plinth.